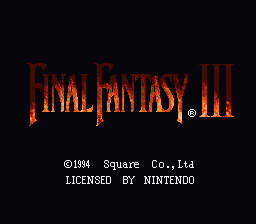 Romhacking.net - Hacks - Anchors Aweigh! 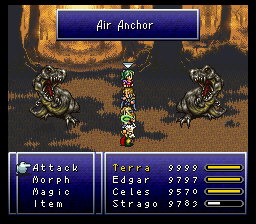 When Edgar hits some poor monster with the Air Anchor, any action it takes will then proceed to kill it. 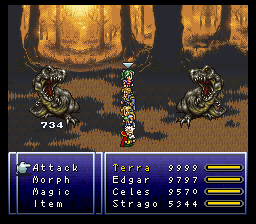 However, it also means standing there regenerating, taking poison damage, or seizure damage will kill. This patch fixes that behavior.